Christ the Savior Cathedral is literally right across from our apartment building and is one of the biggest attractions in Moscow. Construction began in 1817 and took 45 years to build. It took one day to blow it up - in 1931 Stalin ordered its destruction. Some of the remains of the original cathedral can be found in several of the amazingly beautiful metro stations in Moscow (more on this in future blog). In 1958, Khrushchev turned the grounds into the world's largest outdoor swimming pool. After perestroika, a wooden cross appeared in the square by the pool, together with a box of donations. 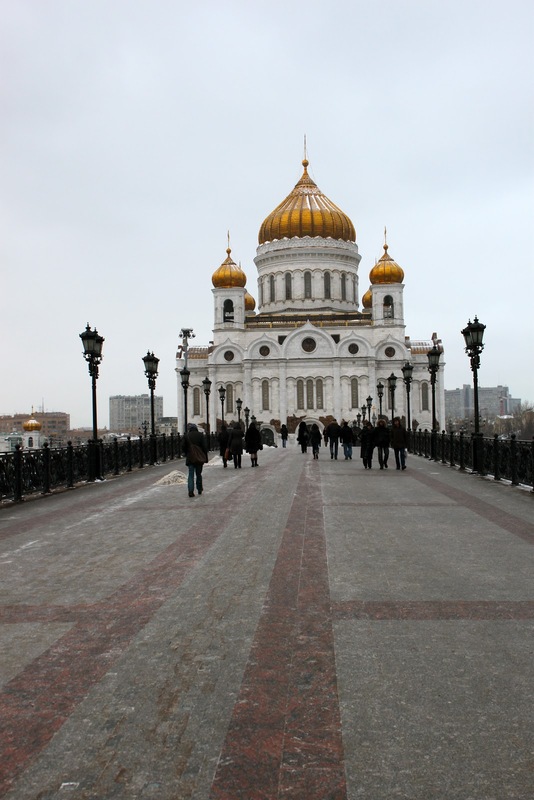 Billions of rubles were collected and in 1995 the cathedral was rebuilt (completed in 1998). It can hold more than 10,000 visitors at a time. Ann, these pics are stunning. And how nice that you have an ideal swim training pond right out your front door!! Brrrrr.